Please choose your breakfast main. Please choose your breakfast dessert. The menu Decadent Brunch is unavailable at that date. Chef Hannah Ashley is unavailable on this date. 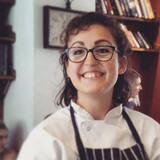 Check chef Hannah Ashley's calendar. Chef Hannah Ashley is unavailable in this city.